Pear Stairs is one of the major suppliers of stair parts in the UK. We offer a wide range of beautifully crafted stair parts through our online shop. We sell high quality parts at affordable prices to the people of Warwickshire. 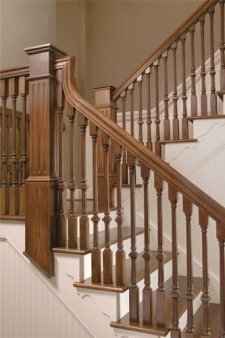 These stair parts include handrails, spindles, newel posts, newel caps, stringers, risers, treads, balustrades, wall brackets and handrail end caps. 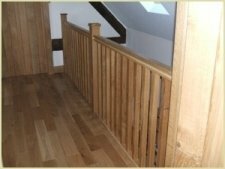 If you are looking to add a whole new staircase, a new balustrade or just spindles to your Warwickshire home, then we have a vast selection of stairs and stair parts for you to choose from. 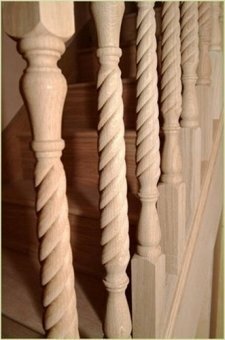 Our wooden and metal spindles can provide your staircase with a design and finish that you will be proud of. Located in the county of Warwickshire is the city of Coventry. Coventry has overgone extensive redevelopment over the past few years, to bring new life to the city centre. Redevelopments have included ‘The Phoenix Initiative’, which saw two major visitor attractions, Basil Spence’s Cathedral and the Coventry Transport Museum, connected, using a neglected part of the city and turning it into a chain of new public spaces. Another redevelopment was turning Broadgate into a pedestrian zone in 2012. These redevelopments have helped revive the city of Coventry and helped kick start further regeneration. Here at Pear Stairs we want to point you in the right direction so you can begin some redevelopment of your own. So if you are renovating, upgrading or adding to your existing staircase, we can help you regenerate and give your home that stylish look and to give you the stairway that you have always dreamed off. We have a large selection of stair parts available, including our classic wooden spindles and our range of Edisto metal spindles, available for your Warwickshire staircase. Our team of experts is here to provide you with top notch customer service, high quality stair parts, unbeatable prices and an excellent delivery service. So what are you waiting for, people of Warwickshire? Pick up the phone and call us, or simply visit the Pear Stairs online shop now!